CHICAGO (September 8, 2017) – Greenhouse Theater Center’s Artistic Director Jacob Harvey is pleased to announce The Key: Young Critics Mentorship Program, a training program for Chicago youth in arts criticism created by national online arts platform Rescripted, The Chicago Inclusion Project and entertainment critic Oliver Sava and hosted by the Greenhouse. Launching this fall, the ten-week initiative for youth ages 16 – 20 will include arts criticism workshops and lectures with the program’s creators, as well as guest speakers from all facets of the Chicago theater community. Students will attend Chicago theater productions throughout the fall season, write original critiques, undergo one-on-one editing sessions and create personal blogs to host their writing portfolio and multimedia reviews. Select critiques will also be published on Rescripted. Applications for The Key: Young Critics Mentorship Program are currently being accepted at rescripted.org through Friday, September 22, 2017. For additional information and inquiries, please e-mail thekey.chicago@gmail.com. The Key: Young Critics Mentorship Program joins the Greenhouse Theater Center’s increasing number of initiatives aimed at growing Chicago theater, including the The Trellis Residency Initiative, a new professional development program for Chicago-area playwrights under 30, and the MC-10 Playwrights Ensemble, a collection of ten of the country’s most sought-after established and mid-career Chicago playwrights and theater-makers now in residence at the Greenhouse. Regina Victor is a producer, dramaturg, director and performer from Oakland California. They attended Phillips Exeter and Santa Clara University, from which they hold a B.A. in Theatre Arts and Religious Studies. Regina has worked with theatres such as Berkeley Repertory Theatre, Marin Theatre Company, Chicago Dramatists, The Hypocrites, Shattered Globe, Walkabout Theatre, and more. Victor’s writing has been published on Rescripted, Howlround and The Bold Italic. 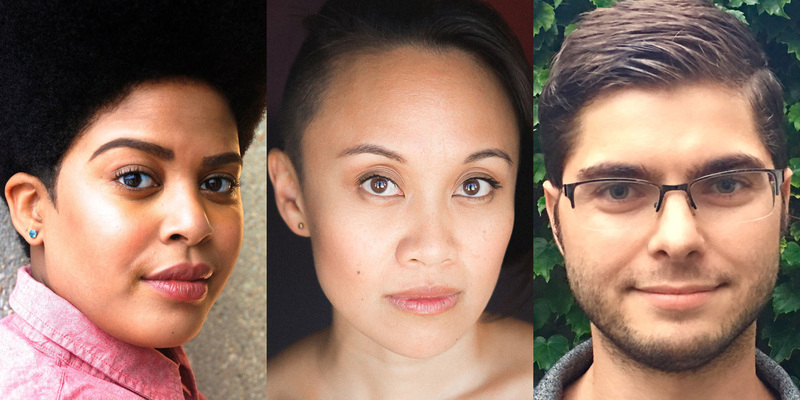 They are currently serving as the 17/18 Artistic Apprentice and Multicultural Fellow at Steppenwolf Theatre, as well as a member of the 17/18 Stage Directors and Choreographers’ Observership Class. Oliver Sava is a Chicago-based entertainment writer focusing on comic books, television, and theater. He was a staff Theater Writer at Time Out Chicago, where he had a Performer Of The Week interview column. His writing on comic books, film, podcasts, television, and theater has been published at The A.V. Club, Chicago Theater Beat, Chicago Tribune, The L.A. Times, NPR Books, New York Magazine’s Vulture, VICE, and Vox. He is a 2017 fellow of The Eugene O’Neill Center’s National Critics Institute and a recipient of the 2017 Eisner Award for “Best Comics-Related Journalism/Periodical” for his A.V. Club writing. He graduated from Loyola University with degrees in English and Political Science, and was the dramaturg for Jackalope Theatre’s Prowess (2017 Jeff Award winner for Best New Play). Rescripted is a collective of theatre professionals from all levels and disciplines in the field who are interested in engaging with their peers on a critical level. Founded by Regina Victor and Katherine O’Keefe, Rescripted is a national response to the need for a broader range of voices in the critical sphere. With writers in Los Angeles, Chicago, and the San Francisco Bay Area, Rescripted is shaped by its contributors’ interests, and specializes in publishing reviews, artist interviews, and essays on topics pertinent to our field. With a supportive framework in mind, Rescripted aims to reprogram the way we critically engage with each other while cultivating critics and adding new voices to the field. www.rescripted.org. 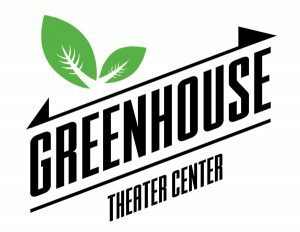 The Greenhouse Theater Center is a producing theater company, performance venue and theatre bookstore located at 2257 N. Lincoln Ave. in Chicago’s Lincoln Park neighborhood. Our mission is first and foremost to grow local theatre. The Greenhouse Theater began its producing life in 2014 with the smash hit Churchill, after which came 2016’s much-lauded Solo Celebration!, an 8 month, 16 event series highlighting the breadth and depth of the solo play form. This year, the Greenhouse announced a full subscription season, with a mix of multi-character and solo plays. With a focus on our community, the Greenhouse is also launching the Trellis playwriting residency, an initiative designed to cultivate the next generation of Chicago theatre creators and a two-tiered education program for college and high school students. As a performance venue, our complex offers two newly remodeled 190-seat main stage spaces, two 60-seat studio theaters, two high-capacity lobbies, and an in-house rehearsal room. We strive to cultivate a fertile environment for local artists, from individual renters to our bevy of resident companies, and to develop and produce their work. In 2016, the Greenhouse announced a new residency program, which offers a reduced rate to local storefront companies while giving the Greenhouse a stake in the resident’s success. We house Chicago’s only dedicated used theatre bookstore, located on the second floor of our complex.